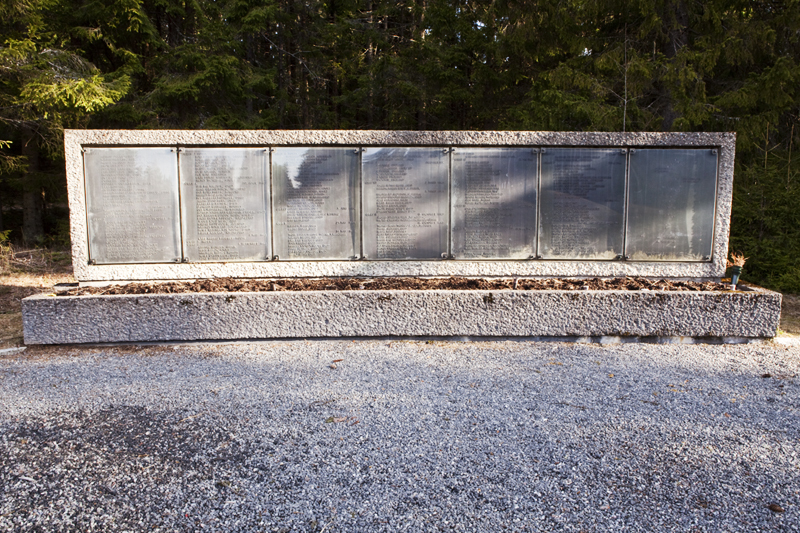 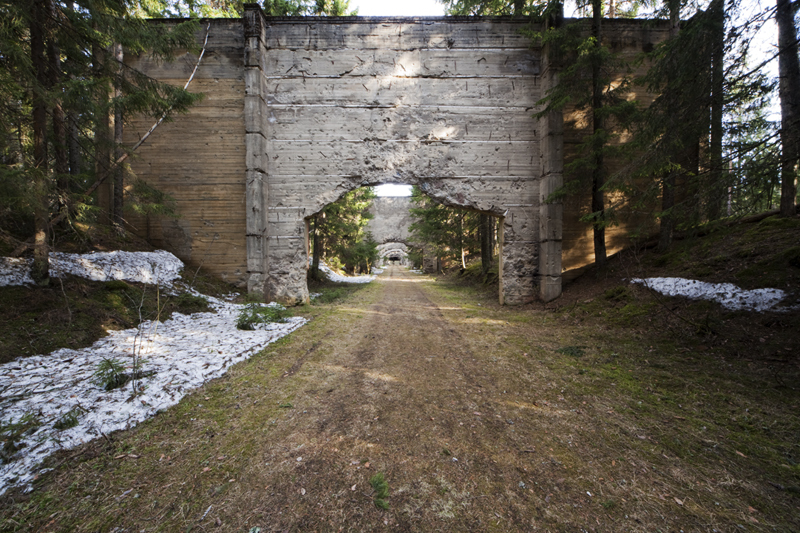 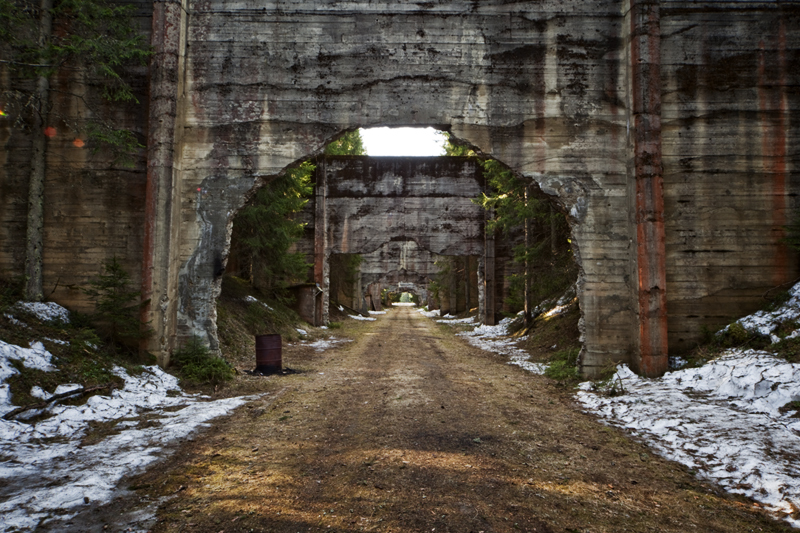 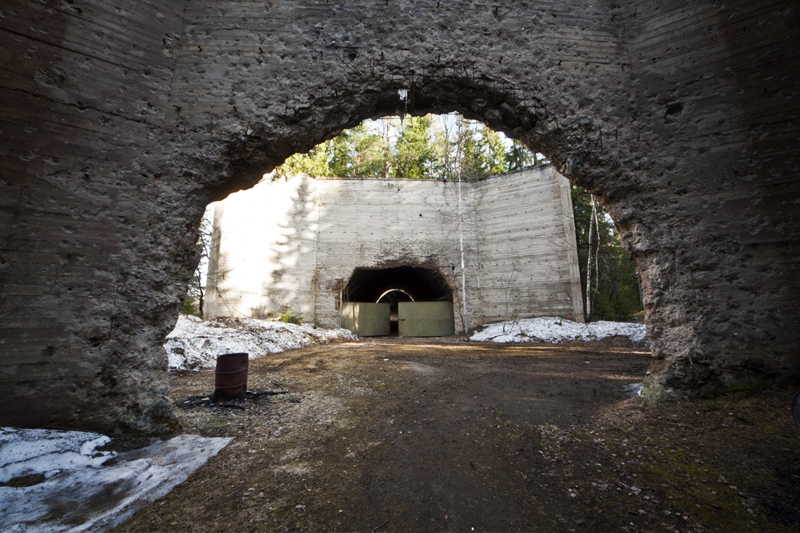 This is an old 300m long firing range for tanks in the middle of the Norwegian forest. 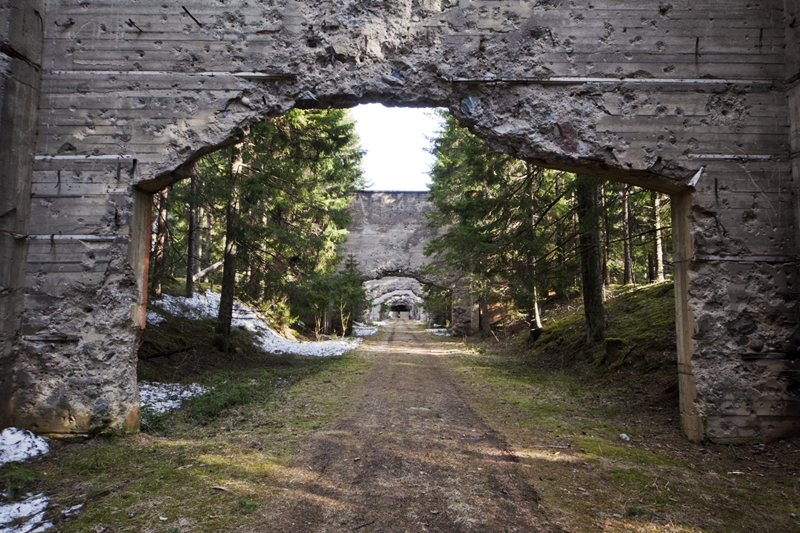 German soldiers practiced here during World War II. 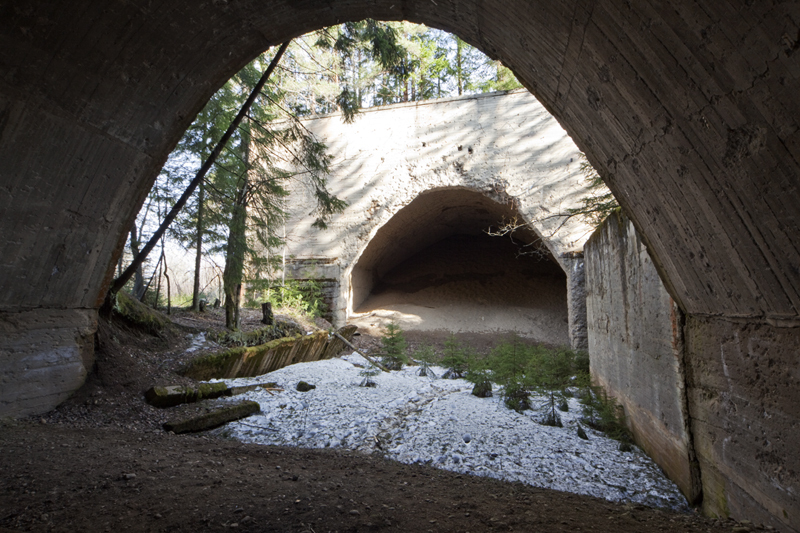 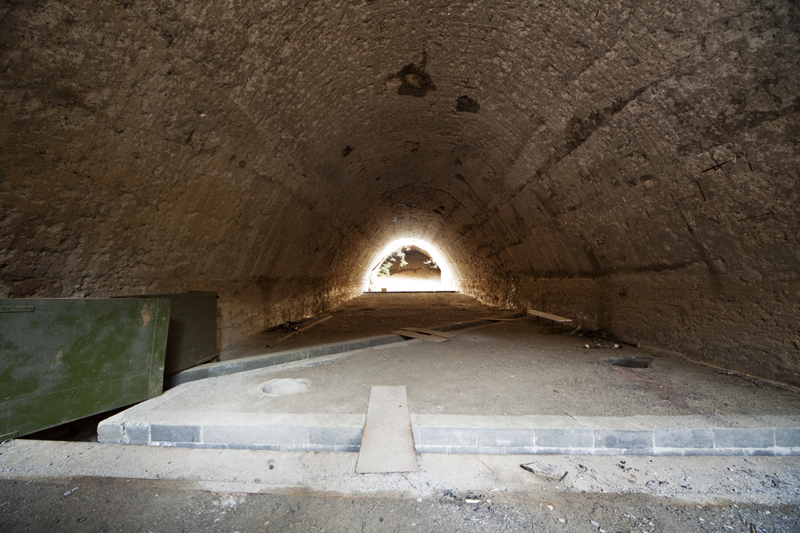 The large 10m tall reinforced concrete walls are penetrated with huge holes but they are still standing and are reminders of the past activity here. 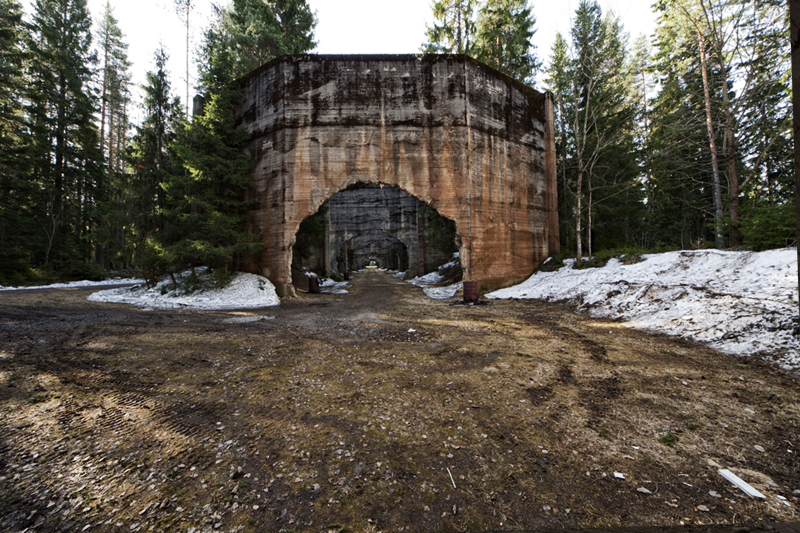 The walls would act as a large silencer for the practice shooting. 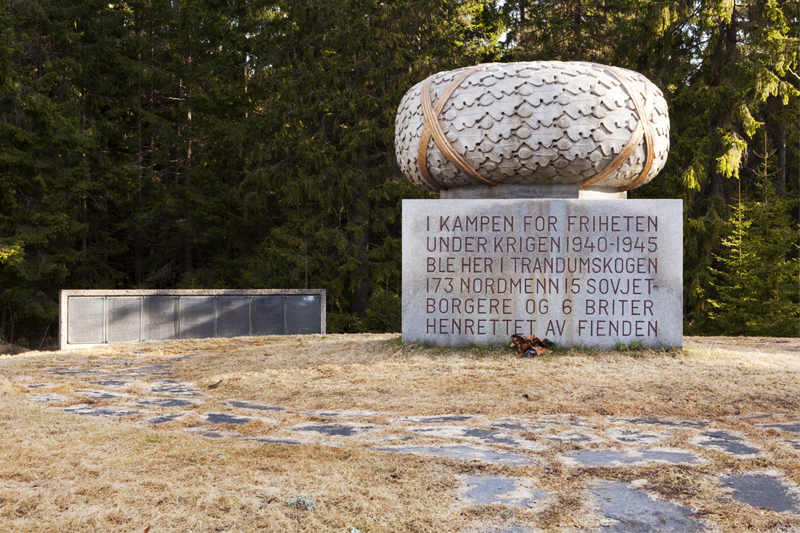 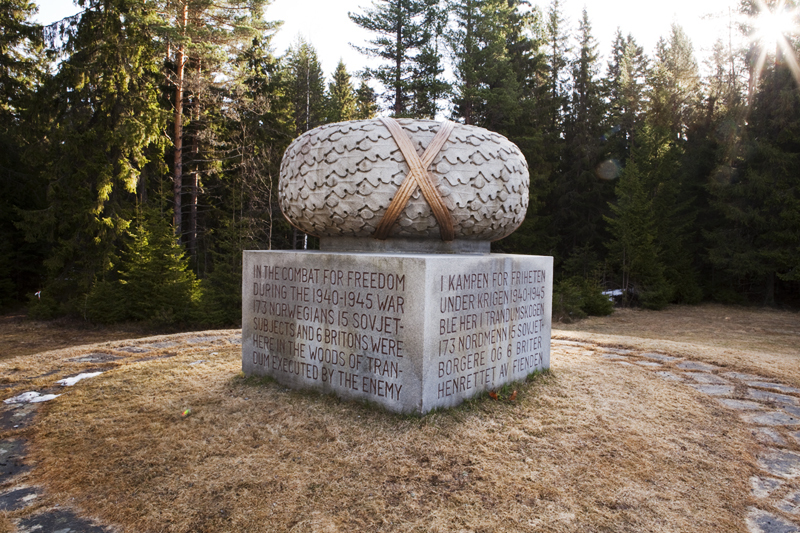 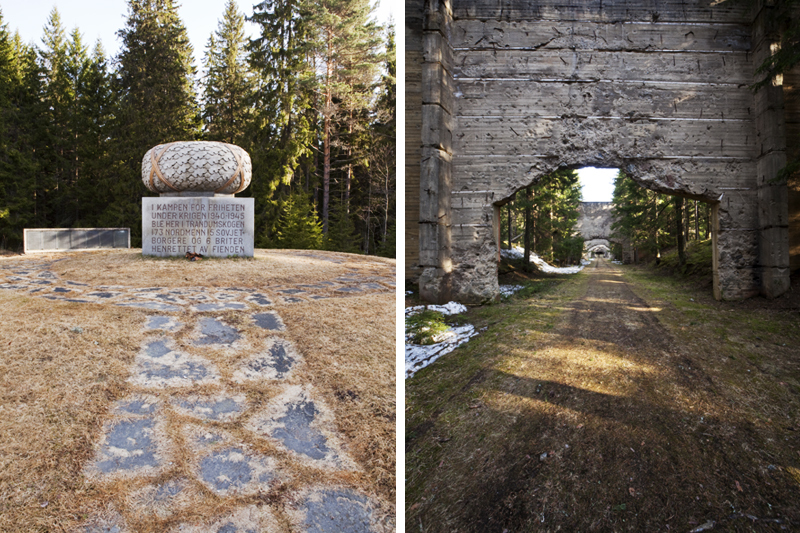 The whole area, Trandumskogen, is really a German mass grave and a memorial area for the 173 Norwegian, 15 Russians and 6 British soldiers executed by the enemy in the forest. 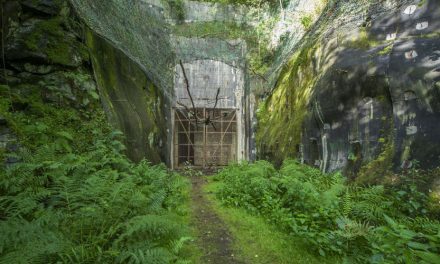 The place was hidden and kept secret but rediscovered at the end of the war. 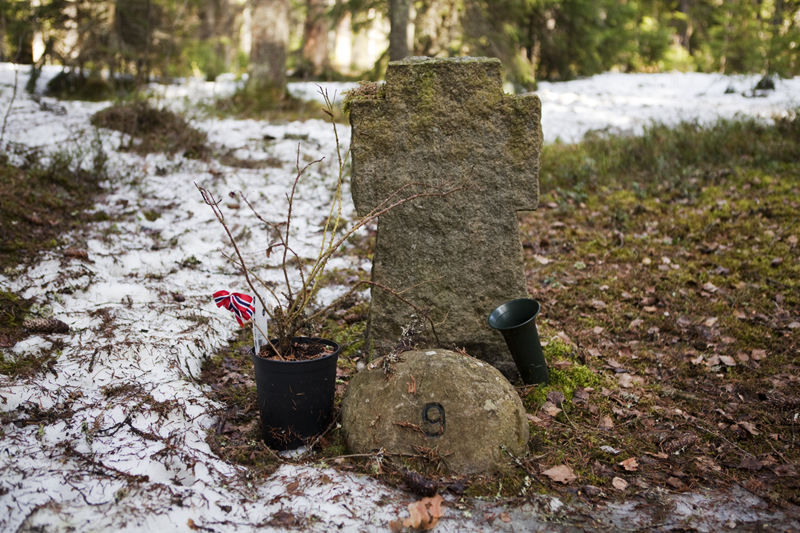 In the vegetation around the tank firing range there are 18 graves marked with granite crosses. 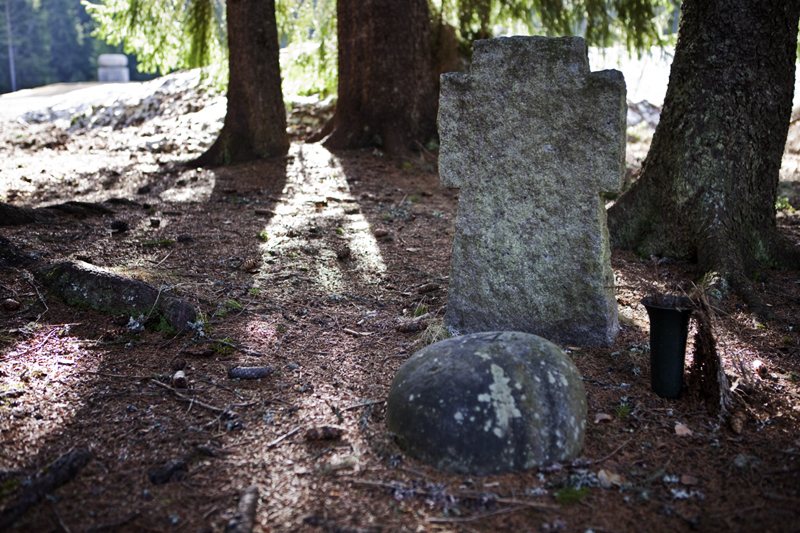 I experienced the place as quiet and peaceful, but others say the woods are haunted. 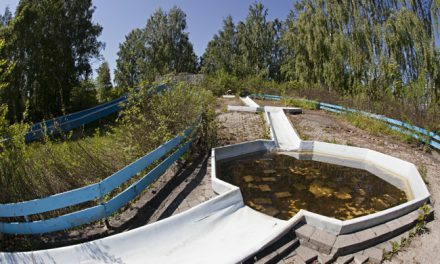 Flott sted. 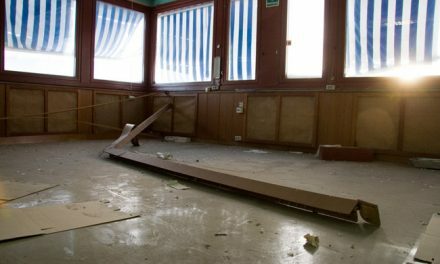 Dog ikke det samme etter at alle trærne rundt måtte fjernes etter julestormen ifjor!